Happiness depends on the happiness of those around us. Amidst losing a lot of youth in war, bloodshed and explosion, it will be unfair to be merely thinking about our own happiness. The sense that sometimes makes us think about others has triggered “Mohammad Ayub Saadat” and ” Mohammadi” to consider helping their compatriots. 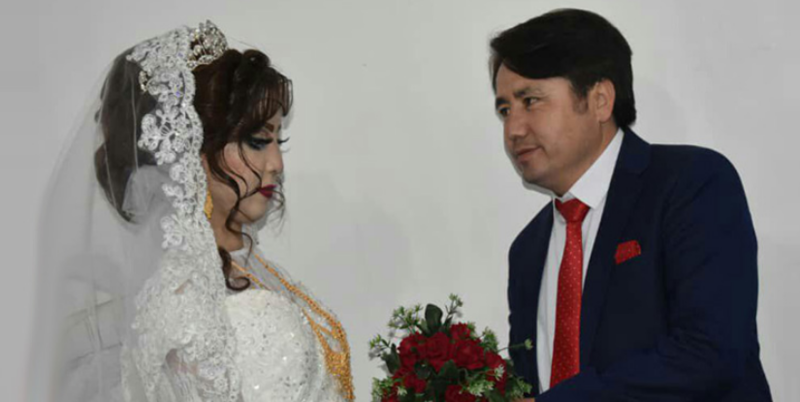 “This celebration was only held for the sake of the bride’s farewell with her family,” Saadat said. Fatima Mohammadi holds Bachelor of Dari Literature and Mohammad Ayub Saadat has Bachelor of Physics and BBA. These two met three years ago. According to Saadat, Fatima Mohammadi is a girl who is active in the field of education. In the beginning, he wanted to know more about Fatima and eventually after 9 months he proposed to her and got engaged with the consent of family. The couple, after 2 years and a couple of months, decided to get married and pursue their wishes and dreams together. 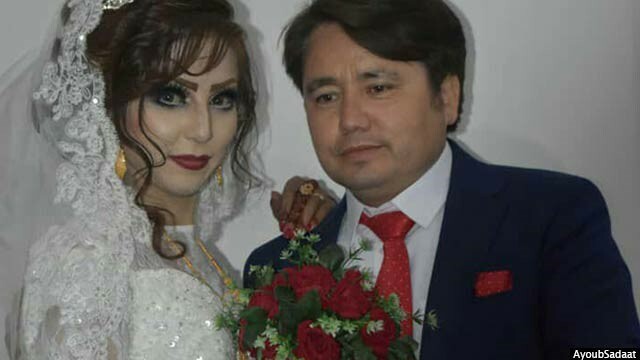 This led to a decision of holding a great celebration on the November 19 in order to memorise the beautiful start of their married life; despite the fact that the enemies of this land are never willing to spend one day without waging war and killing the people of Afghanistan. Before their wedding, the Taliban attacked Malistan, Jaghori and Uruzgan, killing many and displacing thousands of families. After this incident, Ayub and Fatima decided to donate most of their wedding savings to displaced people and contribute to displaced people’s lives and wellbeing. 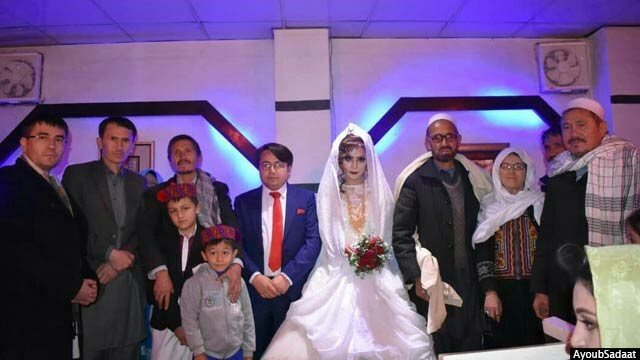 By calculating their wedding expenses in which they had decided to spend 500,000 AFS at the party, they changed the plan and invited only 100 people to their celebration which reduced their total spending to 100,000 AFS, leaving the rest to displaced people. “It’s time to let go of wrong traditions and to think about our fellow citizens, because when there is grief somewhere and people are suffering, we cannot stay indifferent and be partying. ” Fatima said on the motivation behind this decision. “The reasons for this help, though insignificant, were to create a sense of responsibility among the people of society and to eliminate the wrong traditions,” Saadat added. “We could have had a great celebration, inviting many guests to have fun and be happy, and there was no one to force us to give money to these people, but the sense that exists within us told us to look around and caused us not to think only about ourselves; so we helped these people to be happy too,” Ayub said. Now, both of them have shared this happiness not only with their close friends and relatives but also with people of these three districts and caused smile and joy among those people. 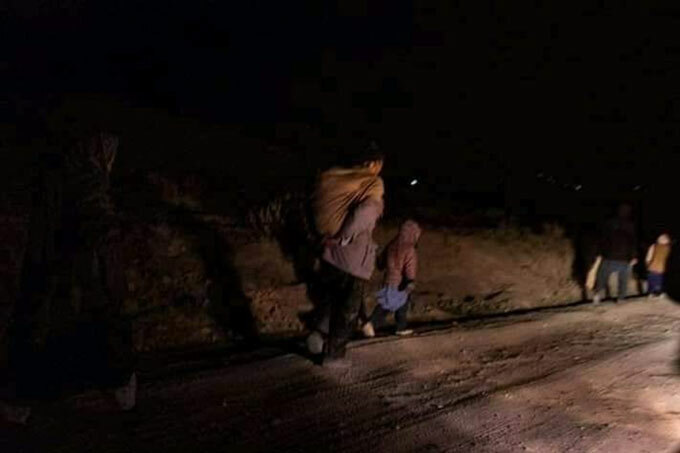 The displacement of families in different provinces this cold season is one of the major issues that is hotly debated these days. Many young people on social media and in their groups are trying to help these people with food and shelter. 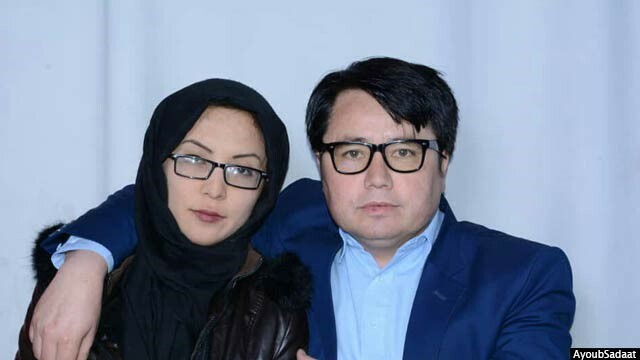 What Fatima and Ayub have done is another example that illustrates the compassion and understanding of today’s society and young people in Afghanistan. Previously, there were those who did unforgettable things in memory of the of their loved ones. The couple helped the displaced people in the country and set an example for other young people to emulate. Also a while ago, a brother built a library in memory of his martyred sister to help her peers, while another family, after the death of their daughter, provided the educational expenses of a number of girls who are the same age as their daughter. These examples are not rare in these dark and deadly days of Kabul; in attacks that killed dozens of people, many people donated blood to the wounded and somehow contributed to relieving their pain. Given these facts, we are hopeful for a different Afghanistan than the past, because now young people enter the realm where they not only think about their own success and happiness, but also contribute to bringing a change to the lives of others. Ayub and Fatma wish to be able to contribute to the building of the country and to do their part in society to the best of their capacities. “If this did not happen to these areas, we would’ve still made decisions for development programs in backward and remote areas, including education and empowerment of children, girls and boys,” Ayub concluded.